Hebei is also the birthplace of a number of renowned philosophers in China. Xun Zi, a famous educator, thinker and philosopher, was born in the province. He was a Chinese Confucian philosopher who lived during the Warring States Period (475-221BC) and contributed to one of the Hundred Schools of Thought. Xun Zi believed man's inborn tendencies need to be curbed through education and ritual, counter to the view of his fellow Confucius follower, Mencius, who believed that man is innately good. He believed that ethical norms had been invented for mankind's correction. 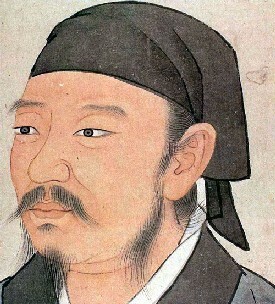 Dong Zhongshu (179-104 BC), a Han Dynasty scholar, was also born in Hebei. He is traditionally associated with the promotion of Confucianism as the official ideology of the Chinese imperial state. Dong's thought integrated Yin Yang cosmology into a Confucian ethical framework. He emphasized the importance of the Spring and Autumn Annals as a source for both political and metaphysical ideas, following the tradition of the Gongyang Commentary in seeking hidden meanings in its text.